AMENDMENT XIV Passed by Congress June 13, 1866. Ratified July 9, 1868. AMENDMENT XV Passed by Congress February 26, 1869. Ratified February 3, 1870. AMENDMENT XVIII Passed by Congress December 18, 1917. Ratified January 16, 1919. Repealed by amendment 21. 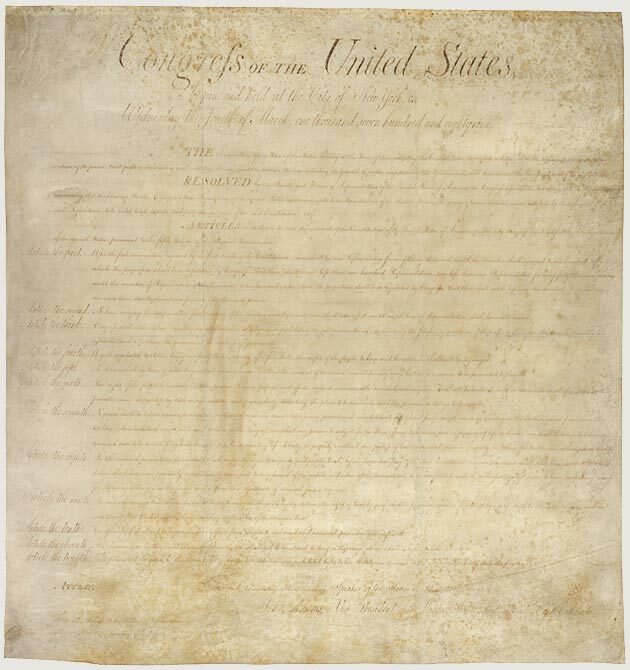 AMENDMENT XXVII Originally proposed Sept. 25, 1789. Ratified May 7, 1992. Next Next post: BILDERBERG Delegates 31-May > 03-Jun-2013 Virginia, USA.